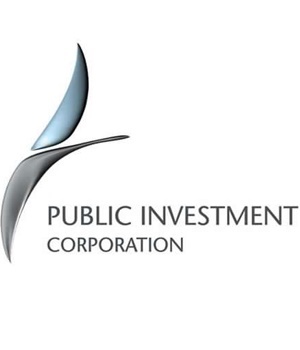 Cape Town - Xolani Mkhwanazi, deputy chairperson of the Public Investment Corporation (PIC) on Tuesday said there was no investigation into an alleged smear campaign to discredit its CEO Dan Matjila. The PIC and the Government Employees Pension Fund appeared before Parliament’s standing committee on finance about their annual reports on 2016/17. David Maynier from the Democratic Alliance (DA) asked Mkhwanazi during question time if the PIC is conducting an investigation into what seems a smear campaign against Matjila. He also asked Mkhwanazi and Matjila if they knew why precisely Finance Minister Malusi Gigaba is instituting a forensic investigation into investments made by the PIC. Mkhwanazi said the PIC has “formally closed” any investigation related to the CEO and said the smear campaign was as a result of someone who “hacked” the PIC’s IT system. “Management was instructed to fix the holes in terms of security in the IT system,” Mkhwanazi said. Neither Maynier nor Yunus Carrim (ANC), chairperson of the standing committee on finance, was however satisfied with the response. Maynier suggested that a full investigation should be instituted to find out who was responsible for the fake emails. “I suggest you even involve the police,” he said. Carrim agreed that a full investigation was the way forward as “a lot of damage has been done”. A person using a false name and email address is believed to have circulated an email in which Matjila was accused of helping to “fund” his “girlfriend”, Pretty Louw. Matjila was cleared of any alleged wrongdoing, but the attempt to discredit him raised concerns that there were powers at play to capture the PIC. Maynier said earlier that an investigation is needed to ensure the integrity of the PIC is protected and that it does not become an “ATM” for the politically connected in South Africa.